Narcotics traffickers continue to move illicit drugs on the streets of metro Detroit, at the expense of lives, neighborhoods, and economic vitality. They fled before the verdicts were read. Rather than appear on May 12, 2014, to hear their fates in a federal courtroom in downtown Detroit, where they stood accused of running one of the largest narcotics trafficking rings in Michigan’s history, three defendants — two of them brothers who made a name for themselves by wearing red velvet fez hats — opted to jump bail and make a break for parts unknown. Given what was revealed during trial testimony, business on Detroit’s streets was incredibly profitable for Carlos Ellis Powell, then 39, Eric Powell, then 36, and Earnest Lee Proge, then 38. 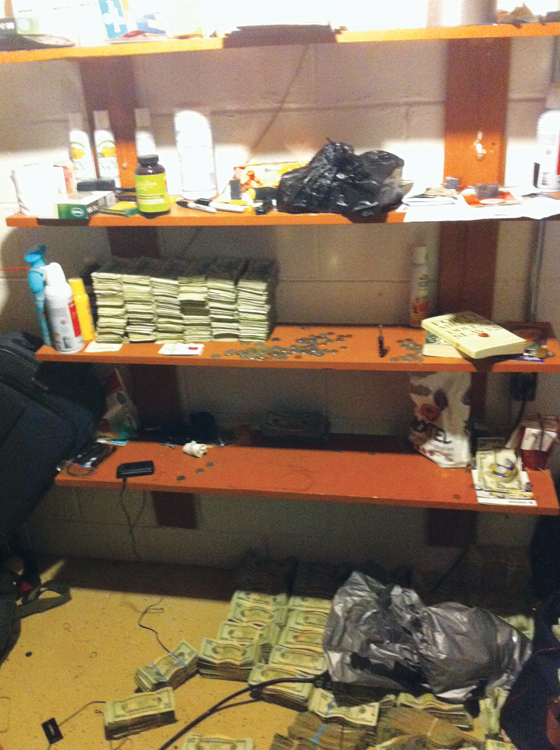 A Drug Enforcement Agency investigation traced their trafficking empire, spearheaded by Carlos Powell, back to 2006. Over a four-year period, the trio and 10 other accomplices extensively dealt in multi-kilogram quantities of mind-altering and highly addictive narcotics, until their poly-trafficking operation was dismantled in late 2010. In total, law enforcement agencies from across the country seized more than 30 kilograms of heroin, 12 kilograms of cocaine, and 1,000 pounds of marijuana intended to be distributed by the Powell crew in Detroit and its surrounding suburbs. Bulk currency the brothers and their henchmen earned from narcotics sales was regularly transported to Arizona, Mexico, and other parts in the Southwest, then used to purchase more controlled substances to put out on the street. Semi-trucks and other vehicles equipped with concealed traps and compartments were used to hide wholesale quantities of uncut narcotics on the eastbound trips, and cash on the westbound trips. All in all, the operation was so successful that during a four-month period in 2010, the Powell brothers and their associates took in $21 million. From 2008 to 2010, a total of some $99 million was generated from the group’s street sales. The illegal proceeds were subsequently used to purchase some $800,000 in jewelry, real estate in Michigan and Georgia with a combined value of $750,000, boats, and multiple Mercedes-Benz luxury sedans, as well as a Ferrari, a Rolls Royce, and a Bentley. As the drama played out inside the courtroom that day, and with U.S. Marshals issuing an all-points bulletin for the convicted fugitives, Tony Allen, an addiction specialist at Elmhurst Homes for Recovery in Detroit, was treating patients suffering the throes of drug addiction. “They can’t sleep, they can’t keep food down,” Allen says of the patients who routinely see him in hopes that they’ll be able to break themselves from physical and psychological drug dependency. Apprehended in St. Louis and Atlanta slightly more than three weeks after skipping bail, Carlos and Eric Powell — who had more than $800,000 in cash between them — were each sentenced to life terms in October 2014. Meanwhile, Proge, who was eventually captured in St. Louis, received a 25-year sentence in January 2015. Although the Powell brothers, who resided in luxury suburban homes, will never be able to reign supreme on Detroit’s streets again, others like them who push narcotics to an impoverished population are operating across the city’s 139 square miles. Tim Plancon, DEA special agent in charge of the Detroit Field Division, says that “there are large and sophisticated drug trafficking rings operating in the Detroit area,” working to satisfy customers living in the city and the surrounding suburbs. The preferred modus operandi the narcotics trafficking rings employ is simple by design. They do the lion’s share of their business inside of Detroit, where they patiently wait for local residents and suburbanites with cash to come to them. Once an individual or group of dealers is established, they often expand their drug trade to poor areas in Flint and Saginaw, using I-75 — one of the nation’s top 10 smuggling highways on record. Given the legal challenges, federal investigations of Detroit-based narcotics trafficking outfits can take years to complete. Most investigations are launched based on details from informants trying to curry favor with an investigating agency. More often than not, the investigations are wrought with complications ranging from apprehensive witnesses to drug-related violence that occurs simultaneous to the government’s efforts in trying to make a case. The reasons why Detroit, which is one of the nation’s poorest and most crime-ridden cities, remains such a prime destination for narcotics traffickers has as much to do with certain aspects of an era that glamorized Detroit’s underground drug world as it does with the use of modern technology. secret cavities are used to transport drugs from Mexico, while large amounts of cash are sent back on the return trips. The 1980s, for example, saw a crack epidemic, off-the-charts gun violence, and a memorable cast of flamboyant characters who still inspire many of those operating in today’s highly lucrative narcotics trade in Detroit. 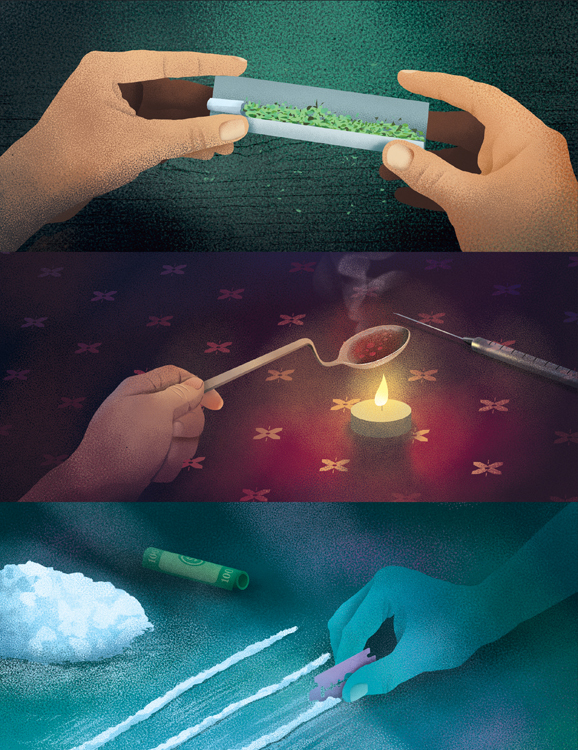 From Young Boys Incorporated, a ruthless heroin ring that exclusively employed teenagers to sell product on the streets, to Rick Carter, aka Maserati Rick, an east side cocaine dealer with Columbian connections, to The Best Friends, a close-knit group of contract killers turned major traffickers, there were noteworthy traits that propelled the illicit trade. Each made exuberant amounts of money in a city beset by poverty. More tragically, they greatly contributed to creating an addict culture that kept inevitable successors like the Black Mafia Family — a cocaine distribution ring that started on the west side in the early 1990s, before going national — from ever wanting for customers. Numerous public housing apartment communities, including Brewster-Douglass, north of downtown Detroit; Jeffries East, along the Lodge Freeway south of Forest Avenue; and Herman Gardens, on the far west side — once favorite targets of those in the drug trade — no longer stand and have largely been redeveloped into single-family homes, senior centers, and educational and community facilities. Many former drug houses, referred to by narcotics officers in Dungy’s era as “trap houses” due to the way they were fortified to keep rivals and law enforcement out, have burned down or are blighted past the point of any practical use. In that respect, Detroit is, indeed, light years away from when Dungy says “the average Detroit Police narcotics crew was doing two law enforcement raids a day.” Still, certain characteristics of the city’s narcotics trade are, just as they were years ago, pure Detroit. For starters, the passage of time has done little to change Detroit’s undisputed drugs of choice on the street. 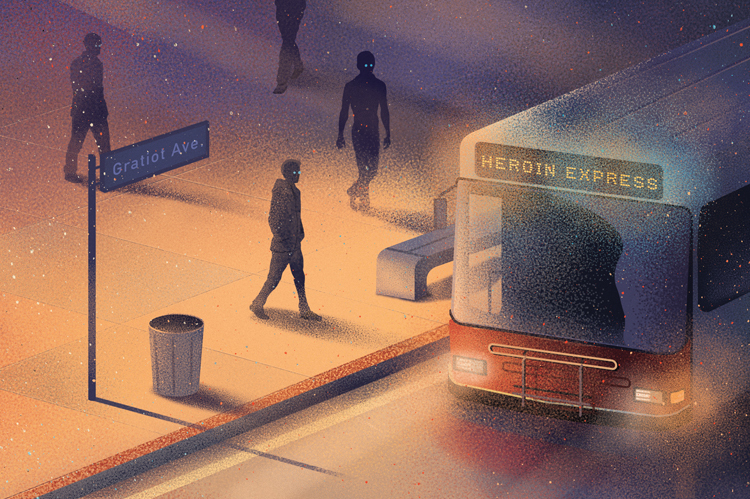 In the city, it’s still all about marijuana, crack cocaine, and a scourge that’s capable of poisoning hardened and first-time drug users alike: heroin. According to Sgt. Michael T. Woody, a spokesman for the Detroit Police Department, the sales of each are “equally split between home sales, street sales, and ‘dial a dope,’ ” which occurs when a customer places a phone call to a dealer to set up a meeting location. While reluctant to reveal typical street prices of the narcotics most popular in Detroit, Woody does say that marijuana is by far the “easiest” controlled substance to get, due to its widespread availability at relatively cheap prices. Crack cocaine, the narcotic that wreaked havoc in the city when it first began emerging on the streets in the 1980s, remains in demand, albeit not to the degree it was during its epidemic height. Heroin, meanwhile, which local law enforcement agencies in the region rank as the top drug threat due to its ability to cause addiction and bring on an overdose, can be bought wrapped in used lottery tickets for under $20 in multiple areas of the city. Crimes traditionally associated with areas where narcotics are heavily sold — robberies, shootings, and homicides — still occur with alarming regularity. Although Woody admits there are “far too many variables” to definitively make a connection, the Detroit Police Department believes more than 60 percent of the 1,034 non-fatal shootings that occurred inside the city in 2015 were related to the narcotics trade in some way, shape, or form. “It is thought that most, if not all, of those shootings were drug-related, but there’s no way of saying (it) with certainty,” Woody says. A combination of numerous uncooperative witnesses — their unwillingness to share any information is mainly attributable to the widely practiced “no snitch” culture on the streets — and wildly unreliable victim statements that are provided to investigators reluctantly, at best, greatly contribute to the uncertainty, even as drug houses situated in neighborhoods with families are still regularly raided by the Detroit Police with the intent of permanently shuttering them. >> drug line The Gratiot line bus system operated by SMART is used by teenagers in the suburbs who travel to Detroit to buy illegal drugs. As much as certain aspects regarding Detroit’s narcotics trade today are eerily similar to trends dating back to the 1980s, there are distinguishable differences where sources of supply and product purity are concerned. Although the supply of drugs has changed geographically — extending as far as South America — from one Detroit-based trafficking outfit to the next, where the narcotics infiltrating the city and its surrounding areas are now coming from couldn’t be clearer. Lower-end traffickers, meanwhile, are often limited to obtaining product from Chicago and, in some instances, California. Cartel connections enjoyed by established Detroit traffickers can range from Mexican nationals to U.S. citizens on a cartel’s payroll. No matter the extent of the connection, however, those conducting transactions on behalf of the cartels facilitate deliveries of wholesale quantities of narcotics that make their way to Detroit on any number of older highway routes as a way to avoid law enforcement detection. “The highway routes vary, depending on law enforcement presence and organizational preference,” Plancon says. 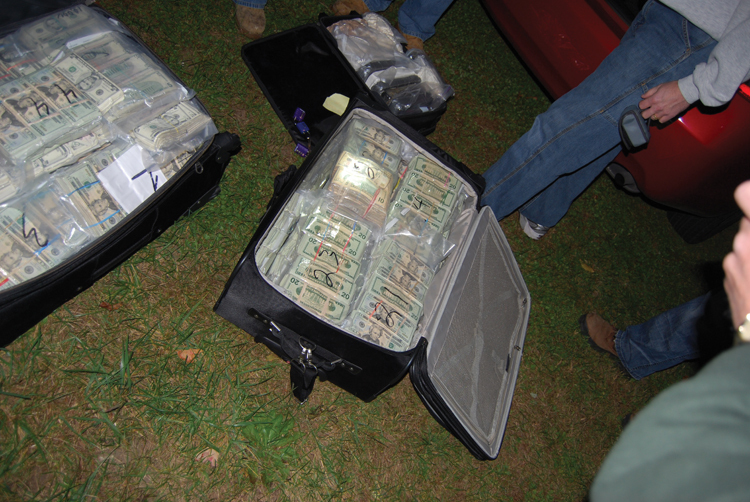 Regardless of who ends up actually driving the wholesale quantities across the country, whether a cartel associate or a Detroit-based trafficking co-conspirator, the preferred transportation of choice is a vehicle or a truck equipped with hidden compartments capable of concealing bulk currency and uncut narcotics. The methods used by BMF back in the defunct ring’s heyday were similar to what the Powell crew did — bringing their narcotics destined for street sales into Detroit using highway routes. BMF, one of the largest national cocaine distribution rings in recent memory, routinely took their chances on the road before being put out of business. BMF, which operated from Atlanta to Los Angeles (the respective adopted hometowns of the brothers), laundered some $270 million over a roughly 15-year period. They were aided, in large part, by co-conspirators in Detroit. 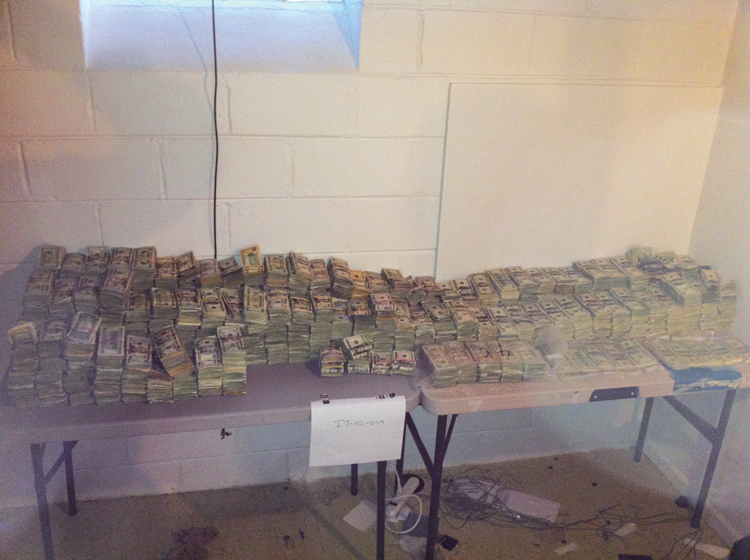 Indicted in the U.S. District Court – Eastern Michigan District in 2005, both brothers pleaded guilty to trafficking drugs and laundering money in exchange for 30-year prison sentences in 2008. Where product purity is concerned, the direct connections to Mexican cartels enjoyed by established Detroit-based traffickers are constantly in flux. As for heroin — the addictive narcotic has surpassed cocaine as generating the largest amount of public drug treatment admissions in both Michigan and Detroit — it comes down to how the narcotic is manipulated from its raw form. Cutting heroin, which originates as refined morphine processed from a poppy plant, involves sectioning off portions designated for street sale. Whenever heroin is cut, ingredients like over-the-counter Benadryl and other benign powders can be added to increase product quantity. The most sinister traffickers add powerful synthetic chemicals like fentanyl (known to be 50 times more powerful than heroin) to their home-brewed recipes. The cut of heroin ultimately consumed by a user will either bring on a euphoric rush — the sensation drug abusers most often ascribe to the narcotic — or cause a life-threatening overdose should the mix end up proving too toxic. Heroin’s recent ascent in Detroit and across the state has been nothing less than disconcerting for law enforcement officials. Overdoses from heroin, which can be injected intravenously, snorted, or smoked, can occur instantly — especially when injected — or not long after use. Concerns regarding heroin, which accounted for 20 percent of drug poisoning deaths in Michigan in 2013, prompted the state legislature to pass a law in 2014 that allows law enforcement officers to carry and administer Naloxone, an antidote widely referred to as “Narcan,” intranasally to anyone they believe in good faith is experiencing a heroin-related overdose. Ongoing threats related to heroin and its use have been further complicated by widespread abuse of opiates — pharmaceutical-grade painkillers like OxyContin and Percocet — that essentially mimic heroin’s effects while being just as addictive. The emergence of opiates on the streets has created what Woody describes as an “extensive pill trade” that seeks to entice those cut off from legitimate prescriptions to the point of turning to a black market for pain medication. On the other hand, people caught in the grips of opiate addiction can make the switch to street cuts of heroin bought on the cheap. Apart from Detroit, suburbanites who buy heroin and opiates in the city make up a considerable portion of drug-buying customers overall. “They’re not necessarily affluent professionals, but suburban residents definitely comprise a large part of the customer base for drugs sold in the city,” Woody says. In an effort to curb rampant opiate abuse across the state, Gov. Rick Snyder and a bipartisan task force took action in 2014 to amend the state’s Workers’ Compensation Agency rules regarding allowable reimbursements related to opioid treatment. The new rules prevent state-funded reimbursements from being made to any worker compensation claim where opiate treatment not related to cancer pain management exceeded 90 days. While relatively new, the bipartisan effort has been credited with a 31 percent drop in the average number of prescriptions and pills per claim since 2014. In June, Snyder created the Michigan Prescription and Opioid Abuse Commission to better monitor instances of controlled substance abuse and diversion in the state. “We need to take action to address this epidemic before addiction takes its toll on more innocent people,” Snyder said. Still, the heroin and opiate phenomenon plaguing Detroit and the region continues to latch its tentacles onto people in ways that were previously unimaginable. Few examples are more telling than the Gratiot-line SMART bus route teenagers have been exploiting to get access to drugs.